Description: Offering a refined curvaceous look that will complement the most luxurious interiors. Cilindro creates soft illumination and sophistication with its elegant neutral palette. 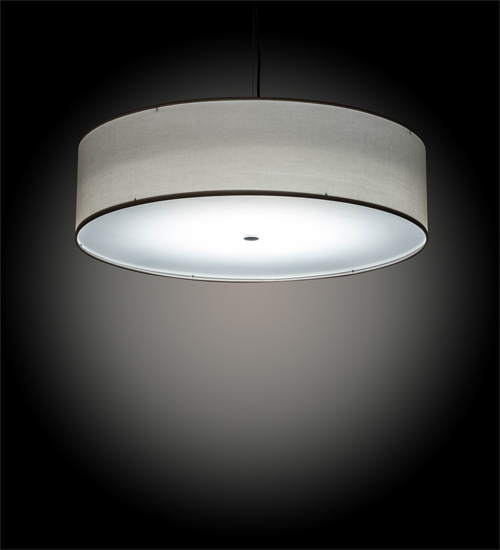 The White Linen Textrene shade is enhanced with a Statuario Idalight bottom diffuser. The pendant is enhanced with Brushed Nickel finished hardware and accents. The overall height ranges from 11 to 82 inches as the cable length can be easily adjusted in the field to accommodate your specific lighting application needs. Handcrafted in our 180,000 square foot manufacturing facility in Yorkville, New York. UL and cUL listed for dry and damp locations however we do not recommend installing it in spaces that experience a large amount of moisture due to the fabric shade.